Mr. Patrick Archbold, co-editor of the lively and popular Creative Minority Report, also writes a column for the National Catholic Register. His latest column is an appeal for Pope Francis to regularize the status of the Society of Saint Pius X – not because Mr. Archbold agrees with the SSPX on every point, but because regularization would serve the cause of Christian unity that (we are led to believe) is a high priority for the Holy Father. The column was cleared in advance by the powers-that-be at the Register, posted, and quickly pulled down without explanation. In the interest of disseminating an important and persuasive message, I am reposting his column here. By now, many of you have probably seen the Tony Palmer video last week that was so exciting to many. At a Protestant conference, Tony Palmer, an Anglican priest, brought along an iPhone video of greeting from Pope Francis. The subject of the presentation and of the Pope’s recording was unity of Christians. It is certainly true. Regardless of the truth of Catholic doctrine, the Church has accepted its share of the blame for the misunderstanding that were allowed to deepen and harden, leading to centuries of separation. When I heard this, something else written by Pope Francis’ predecessor came immediately to mind. In 2007, along with the issuance of the “motu proprio” Summorum Pontificum, Pope Benedict XVI issued a letter explaining his reasoning. In that letter, he made the following statement. It strikes me that this may be one of those critical moments in history to which His Holiness refers. With the breakdown of discussion between the Holy See and the Society of St. Pius X at the end of the previous pontificate, the public mood during this first year of the current pontificate, and other internal events, traditional Catholics, both inside and outside the Church, have felt increasingly marginalized. Whether fair or true, I say without fear of contradiction that this is a prevailing sentiment. This perception of marginalization has manifested itself in increasingly strident and frankly disrespectful rhetoric on the part of some traditionalists and their leaders. I have great concern that without the all the generosity that faith allows by the leaders of the Church, that this separation, this wound on the Church, will become permanent. In fact, without such generosity, I fully expect it. Such permanent separation and feeling of marginalization will likely separate more souls than just those currently associated with the SSPX. I have also come to believe that Pope Francis’ is exactly the right Pope to do it. In his address to the evangelicals, he makes clear his real concern for unity. So here is what I am asking. I ask the Pope to apply that wide generosity to the SSPX and to normalize relations and their standing within the Church. I am asking the Pope to do this even without the total agreement on the Second Vatican Council. Whatever their disagreements, surely this can be worked out over time with the SSPX firmly implanted in the Church. I think that the Church needs to be more generous toward unity than to insist upon dogmatic adherence to the interpretation of a non-dogmatic council. The issues are real, but they must be worked out with our brothers at home and not with a locked door. Further, Pope Francis’ commitment to the aims of the Second Vatican Council is unquestioned. Were he to be generous in such a way, nobody would ever interpret it to be a rejection of the Council. How could it be? This perception may not have been the case in the last pontificate. Pope Francis is uniquely suited to this magnanimous moment. I believe this generosity is warranted and standard practice in the Church. We do not insist on religious orders that may have strayed even further in the other direction sign a copy of Pascendi Dominici Gregis before they can be called Catholic again. So please let us not insist on the corollary for the SSPX. Must we insist on more for a group that doctrinally would not have raised an eyebrow a mere fifty years ago? I pray not. Give them canonical status and organizational structure that will protect them. Bring them home, for their sake and the sake of countless other souls. I truly believe that such generosity will be repaid seven-fold. Pope Benedict has done so much of the heavy lifting already, all that is required is just a little more. 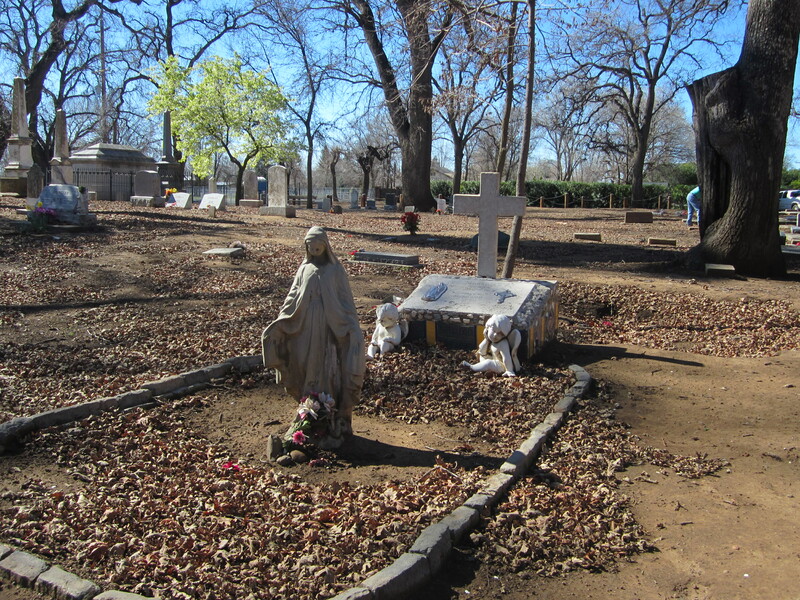 “In 1978, the defunct Christian Service Society deeded the cemetery to a private family. 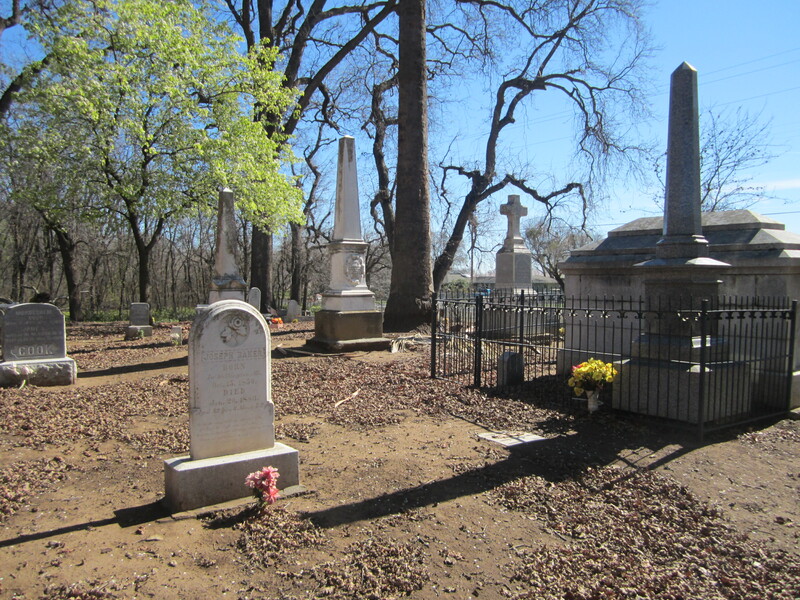 Over the years, weeds, brush and huge bushes of poison oak were rampant throughout the gravesites, and it became impossible for families to place flowers or visit the final resting place of their loved ones. When building materials appeared on top of the gravesites, the community of Durham became outraged. 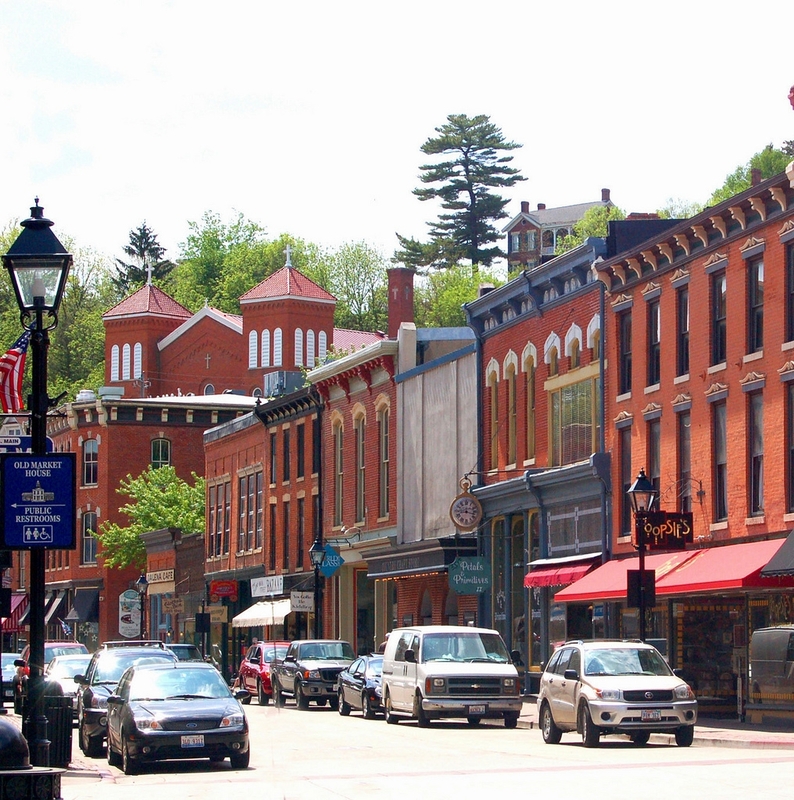 Residents banded together in a joint effort to protect and defend this sacred and historic site. 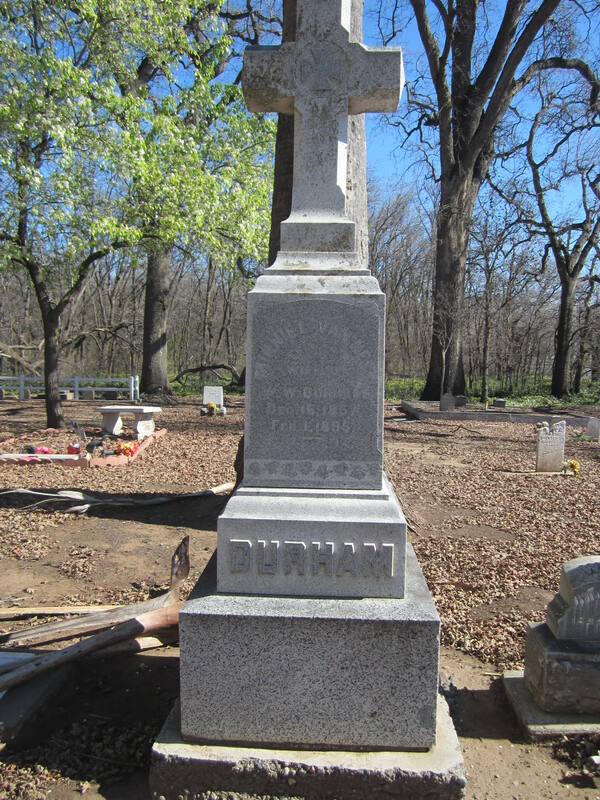 In 1994, after many years of conflict and legal proceedings, the Butte County Board of Supervisors initiated eminent domain proceedings and subsequently approved an agreement designating the newly formed ‘Durham Cemetery Preservation Association, Inc.’ as caretakers. 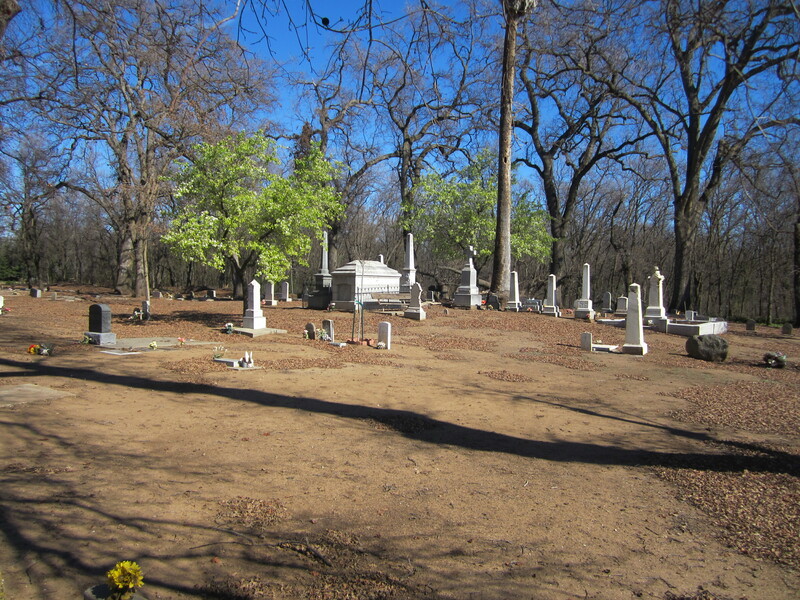 The non-profit Association was given the responsibility for restoration, repair and maintenance of the cemetery. I had about 30 minutes to kill this afternoon and stopped by the old cemetery to take a few photographs. The place is now properly cared for and is obviously being used again by local families. 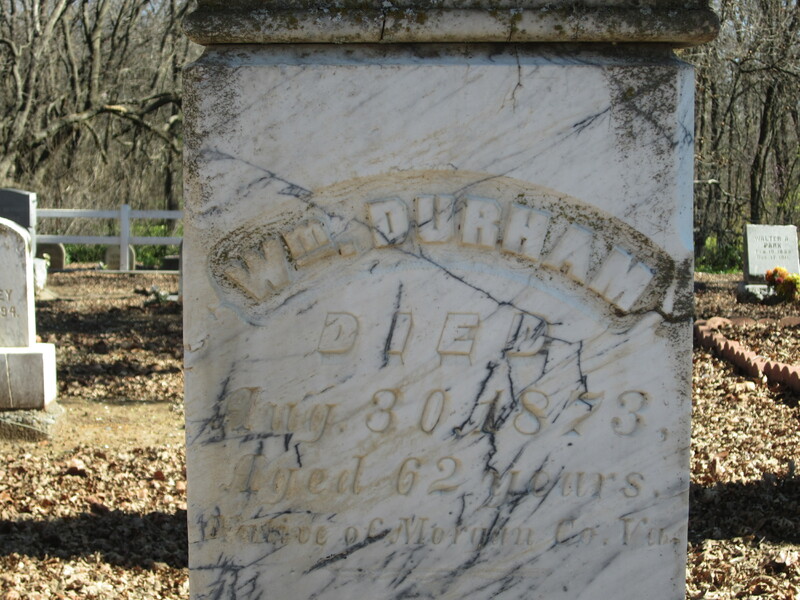 The large monuments of the Durham family are the most most prominent graves in the cemetery, as they should be. Eternal rest grant unto them, O Lord, and may perpetual light shine upon them. And may the souls of the faithful departed, through the mercy of God, rest in peace. Amen. “In the new missal of Pope Paul VI, the preparatory, pre-Lenten season of Septuagesima has been completely eliminated, on the grounds that it would be difficult for the faithful to understand why Septuagesima, like Lent, is a penitential season. But in fact, as Dr. Pristas stresses, the traditional understanding of the difference between Septuagesima and Lent is that the latter is a season of obligatory penance, whereas the former is a season of simply devotional penance, for the faithful to prepare themselves for the obligatory penances of Lent. This distinction was overlooked by the authors of the new missal. And so they paid no regard to the eminent fittingness of a period of spiritual preparation for the coming penitential season. Consequently, they opted to suppress this season altogether. Along with this suppression came the loss of a beautiful set of collects which were prayed at the three Sunday Masses of this season. These prayers express a humble anticipation of the purgative processes of Lent, referring explicitly to the sinfulness of man and his deserved punishment, the need to be freed from the bonds of sin, the insufficiency of man’s own efforts, and the need for God’s protection. There is also a reference to St. Paul in the collect of Sexagesima Sunday, on which the Teacher of the Gentiles is specially honored. All three of these prayers are lost in the Novus Ordo. 2181 The Sunday Eucharist is the foundation and confirmation of all Christian practice. For this reason the faithful are obliged to participate in the Eucharist on days of obligation, unless excused for a serious reason (for example, illness, the care of infants) or dispensed by their own pastor.119 Those who deliberately fail in this obligation commit a grave sin. 2182 Participation in the communal celebration of the Sunday Eucharist is a testimony of belonging and of being faithful to Christ and to his Church. 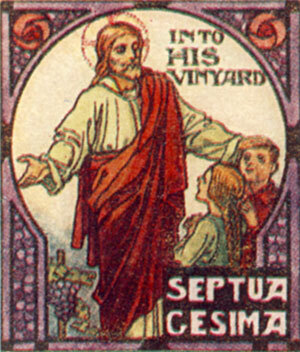 The faithful give witness by this to their communion in faith and charity. Together they testify to God’s holiness and their hope of salvation. They strengthen one another under the guidance of the Holy Spirit. 2192 “Sunday . . . is to be observed as the foremost holy day of obligation in the universal Church” (CIC, can. 1246 § 1). “On Sundays and other holy days of obligation the faithful are bound to participate in the Mass” (CIC, can. 1247). 390. Is it a mortal sin not to hear Mass on a Sunday or a holyday of obligation? A. It is a mortal sin not to hear Mass on a Sunday or a holyday of obligation, unless we are excused for a serious reason. They also commit a mortal sin who, having others under their charge, hinder them from hearing Mass, without a sufficient reason. Is one excused from the Sunday obligation if he does not “feel the need of God’s mercy”? Absolutely not. Attending Mass on Sunday is an obligation that falls upon all Catholics, no matter how they happen to be feeling about God’s mercy. Indeed it is even more important to attend Mass if one doesn’t feel himself to be a sinner, or especially in need of God’s mercy, because the graces of the Mass can move a soul to contrition. Sinners have been converted at Mass by means of the homily, the readings, even the words of the liturgy itself – not to mention the presence of Christ and the prayers of the faithful. Catholics who don’t feel themselves to be in need of God’s mercy should be all the more encouraged to attend Sunday Mass, not to commit a mortal sin by staying home. “Allow me to stress the most important thing for any Catholic to know regarding the historical accuracy of the Old Testament. First and foremost, as Catholic Christians, our faith is NOT based on this historical accuracy of the Old Testament at all. Our faith is based on the historical accuracy of the New Testament alone. The Old Testament simply serves as a historical, religious and cultural context in which to interpret the New Testament. That is all. So as Catholic Christians, we don’t need the Old Testament to be 100% historically accurate to have faith in Jesus Christ and the writings of the New Testament. I’m almost done reading this fine little book out loud to the children. We’ve been covering about two chapters a night for the past week. Californians should know their history, and this is a good place to start. General Vallejo’s critical influence in the founding of our state is often overlooked. Like Chico’s John Bidwell, he was genuinely a man of honor and decency. We Californians can be proud of his legacy. Among his many notable contributions, General Mariano Guadalupe Vallejo founded three cities, named more than twenty counties, provided a vast amount of information for Bancroft’s seven volume “History of California”, and was a delegate to California’s constitutional convention. He has many living descendants who have remained in California and who continue the family tradition of service to the people of this state. Vallejo’s family home in Sonoma, Lachryma Montis (latin for “tear of the mountain”, which refers to an Indian legend), was donated to the state of California on the condition that the Bear Flag never be raised over the land. 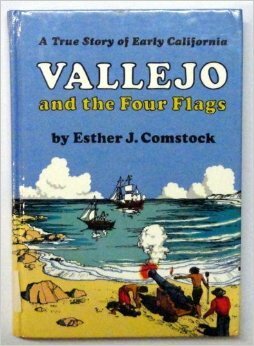 You see, Vallejo was rudely taken prisoner by yankee ruffians who raised the first “bear flag” and declared California an independent republic. (This independent nation status lasted 26 days.) The women of the family never forgot the indignity. Is this Church of the Umbrella Handle, with its much smaller set of human types, the ‘smaller, purer Church’ of which Pope Benedict XVI spoke – or is it the subset of ‘neo-Pelagian immanentists’ against whom Pope Francis warned? Of course, it is both, and the wheat is irretrievably mixed up among the tares. But one thing is certain: It is as inbred as a pack of captive cheetahs, with all the dangers of deformity and disease that that implies. The Church as righteous subculture is unappealing to nearly everyone – including the kids who grow up inside it, who despite all those years of homeschooling and chapel veils frequently flee for what look like saner pastures. In fairness, Zmirak could have made a legitimate point here without gratuitously insulting the only Catholics left who give a damn. But that opportunity was squandered by his bitterness. One suspects that the author of “The Bad Catholic’s Guide to Wine, Whiskey, and Song” has been, shall we say, unlucky with the devout “home schooled and chapel veiled” set. I should hope so, at any rate. What Zmirak fails to account for is the fact that without a “righteous sub-culture”, there is no Catholic culture – period. Bad Catholics like Zmirak (and I reluctantly include myself in his company) are by definition parasitical. If you want to be a bad Catholic you need a strong base of serious, orthodox, striving-for-holiness Catholics to sustain the cultural framework. I have discussed the idea at length in various posts over the years. Bad Catholics – defined as those who are less than devout but are not dissenters – are a tolerable and even amusing evil, but they are also a luxury, possible only when the Faith is strong and capable of producing saints. Today, that element is present only in the Catholic sub-culture Zmirak so passionately disparages. The Catholic sub-culture certainly has warts. But it is virtually alone in producing orthodox vocations, raising large families, and handing down the faith from one generation to the next. Contrary to Zmirak’s insinuation that kids who grow up in this sub-culture are fleeing in droves (which may be his honest perception, as malcontents tend to attract malcontents), those small orthodox colleges are the only Catholic colleges where the overwhelming majority of graduates keep the Faith. As the sub-culture grows and rebuilds, it will also become more diverse, and a place for the Zmiraks of the world will be more secure. But at present, in all sobriety, the Church simply cannot afford Bad Catholics anymore. Bad Catholics drag the Church down just as much as the dissenters, if not more so, because they are more readily perceived as hypocrites (fairly or not) and because they discourage the weak by their impiety. Christ did not establish the One, Holy, Catholic and Apostolic Church for the pleasure and enjoyment of Bad Catholics. It was “the Church as righteous sub culture”, however unappealing to the worldly, that converted Rome and the world in the end.